Bradley Wiggins won the 2011 Critérium du Dauphiné in the Rhone-Alps, becoming only the third British rider to win the eight-stage race. Robert Millar won it in 1990 and, 50 years ago this year, Brian Robinson became the first. While Millar's story is well documented, most notably by Richard Moore in his excellent book In Search of Robert Millar, Robinson's success in Europe – and especially in France – is much less documented. 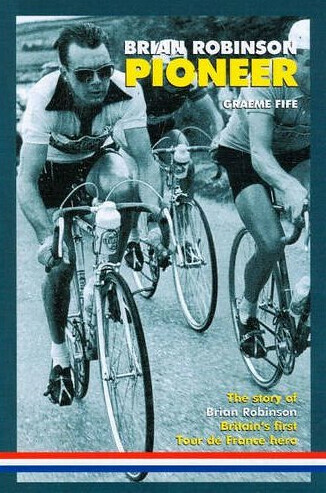 Which is what makes Graeme Fife's book about the rider, Brian Robinson: Pioneer, such an important piece of cycling history. The book is an authorised biography – Robinson hand-picked Fife to write it – and comes from Norwich-based Mousehold Press, a small, independent publisher that's increasingly punching above its weight when it comes to books about cycle sport. 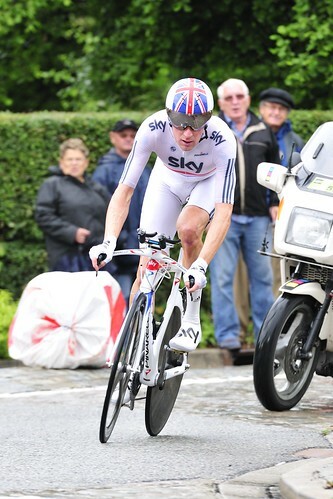 Yet his place in British cycling history – and the histories of a swathe of European races – is assured. Robinson's second place in the Milan to San Remo race of 1957 saw him become the first British rider to claim a podium spot in not only that event, but in any major European Classic. He followed it a year later with a Tour de France stage victory in Brest – the first by a Briton. Two years earlier, he had become the first British rider to make it all the way to Paris to complete the Tour de France. This was the era dominated by French heroes Louison Bobet and Jacques Anquetil, and one that saw the 1960 Tour debut of Tom Simpson, whose contract Robinson had helped negotiate, and who would go on to eclipse Robinson's profile as British cycling's leading contender. Winning in those year, as now, was no mean feat. But Robinson's successes weren't without their struggles, and his story is a far cry from the one Richard Moore documents in Sky's the Limit, his book about the formation of Team Sky – the most recent British attack on Tour success, and one led of course by Wiggins. One can only imagine what Robinson makes of Sky's deep pockets, its high-tech team bus, the sports science, the sponsorship and appearance money; all luxuries never properly afforded to him in his day. Writes Fife: "An awful lot of gallivanting about Europe, putting up in some crummy flea-pit hotels, hounded by the constant drive to make money by placing well if not winning. As he (Robinson) put it, he rode everything that came along because he had to. Like any freelance, he did not know the meaning of the word 'no'. 'Yes' was the ticket to a livelihood." Brian Robinson: Pioneer by Graeme Fife is out now.